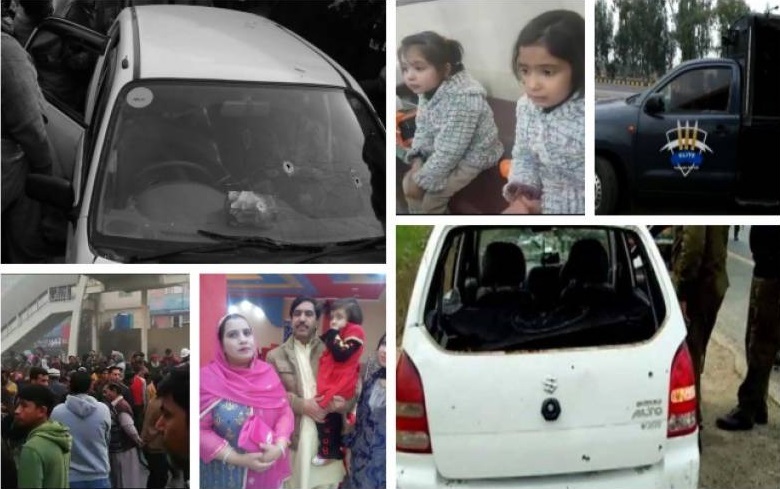 The postmortem report of the people killed in the Sahiwal shootout has made startling revelations about the deadly encounter. It revealed that the Counter-Terrorism Department (CTD) personnel sprayed bullets from a distance of one to ten feet. As per details, 23 shots at Khalil and members of his family who were killed in what the law enforcers described as an encounter with terrorists on the highway near Sahiwal district on Tuesday. Khalil received 13 bullets as a gunshot wound in his head resulted in his death while his wife, Nabeela, received four bullet wounds in her head. His daughter, Areeba, had six gunshot wounds on her chest as a bullet pierced her heart, leading to her death. received 13 bullets all over his body. It is pertinent to mention here that the CTD says Zeeshan was wanted in several cases of crime, including the kidnapping of Ali Haider Gilani, the son of former premier Yousuf Raza Gilani, and several American citizens. On Jan 20, the Punjab government on Sunday declared that Zeeshan– who was killed in alleged Sahiwal encounter conducted by CTD – was working for proscribed organization Daesh and he opened fire on police party.